Cash drop at Cashman Field in Nevada. 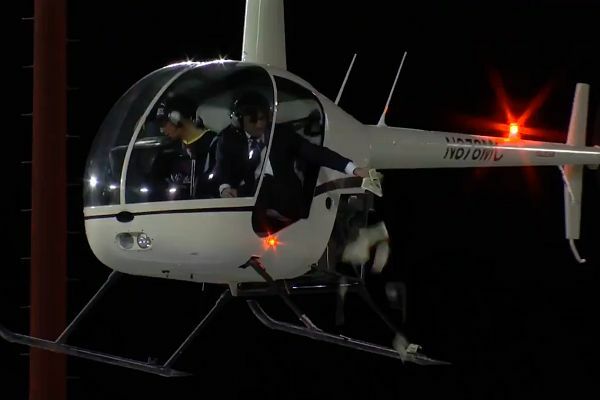 $5000 was dropped out of a helicopter for competition winners to scramble for on the pitch during half-time at Las Vegas Light’s Cashman Field arena. As an enthusiastic commentator discussed strategies for money-gathering, the Nevada stadium became awash with fans in club jerseys scooping up dollar bills. The cash drop was part of the celebrations for the inaugural season of the United Soccer League, which draws to a close in a few weeks’ time. ends up all over your timeline. El pronóstico del tiempo decía que había un 100% de probabilidad de lluvia …. ¡DE DINERO! In the game itself, Las Vegas Lights lost 2-1 to LA Galaxy II, the reserve side to LA Galaxy.